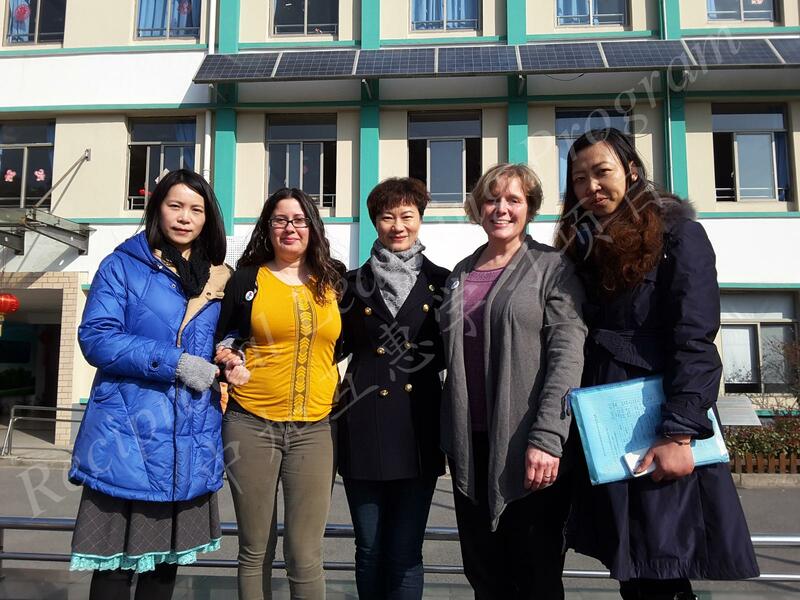 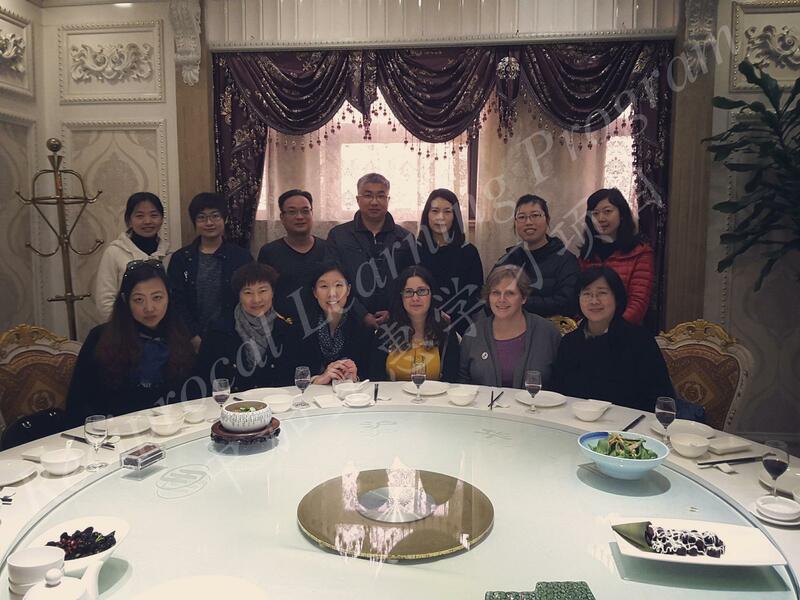 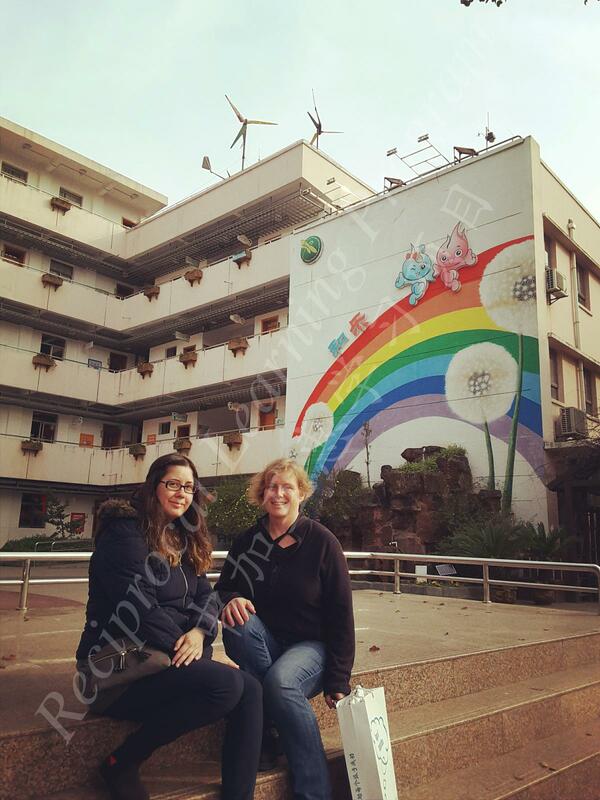 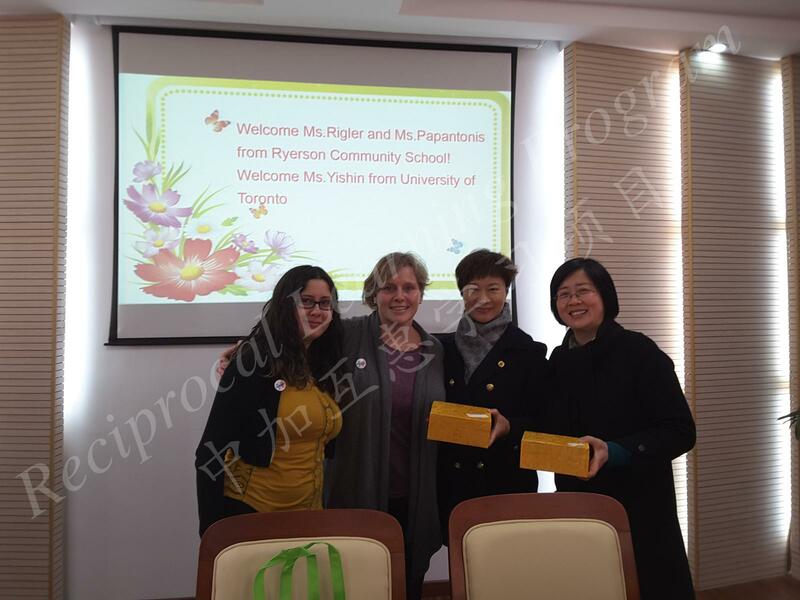 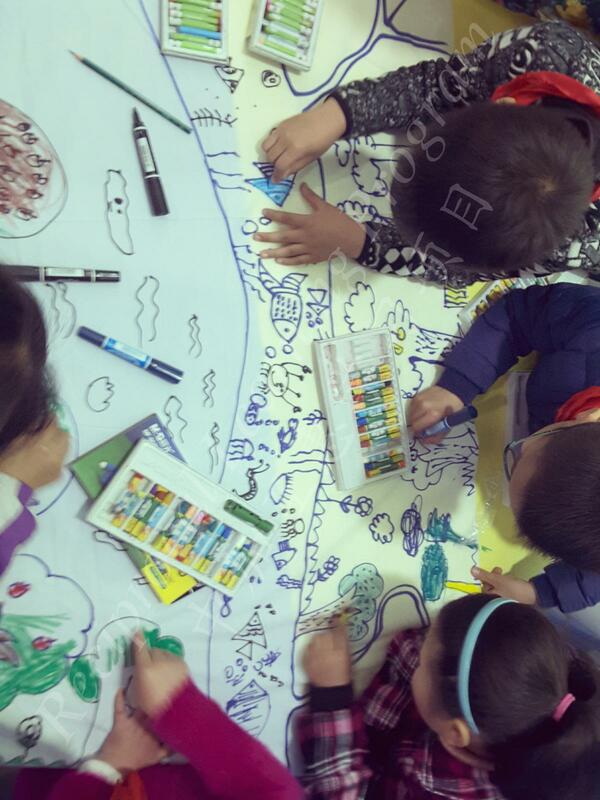 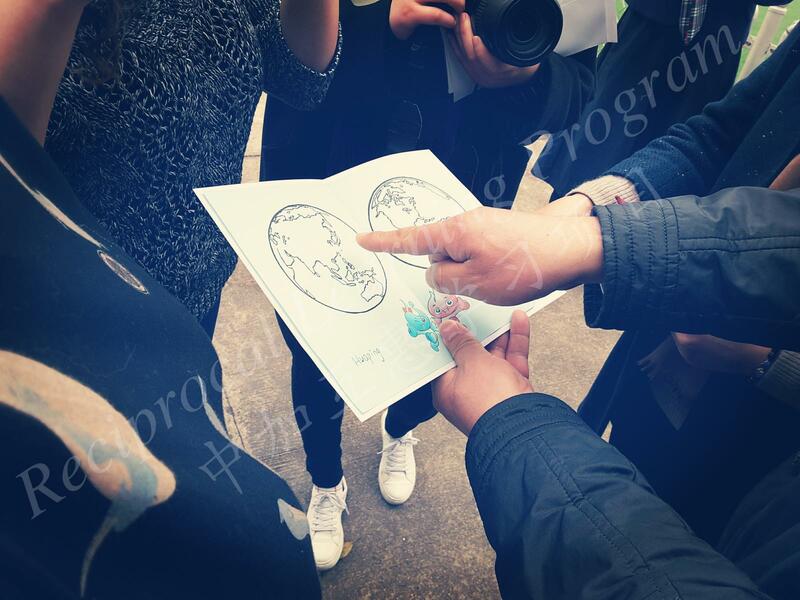 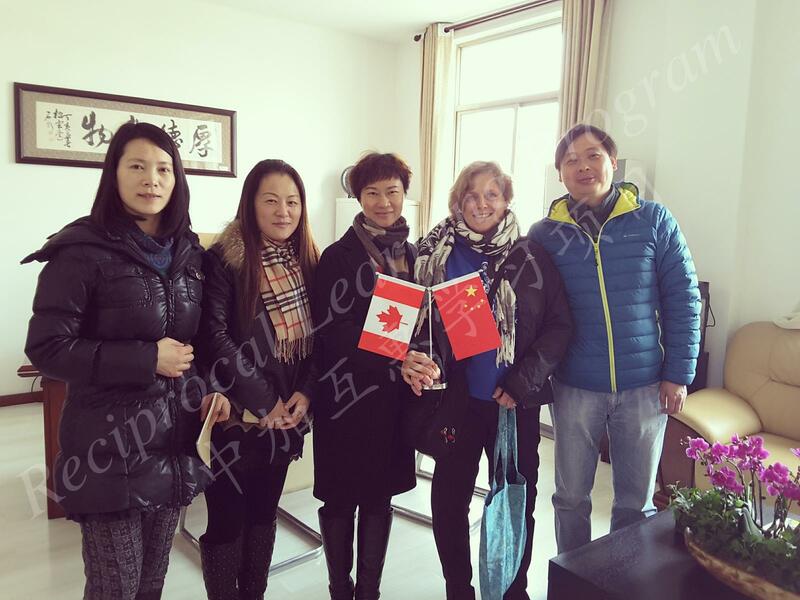 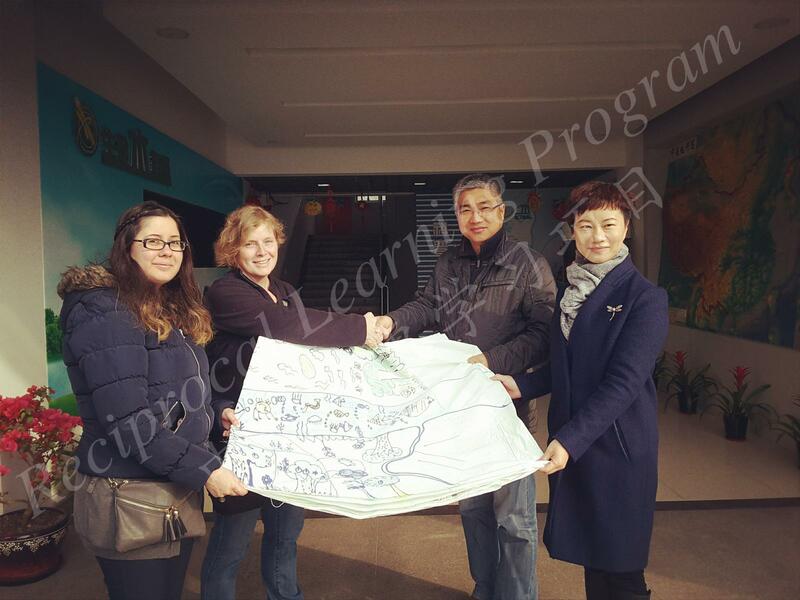 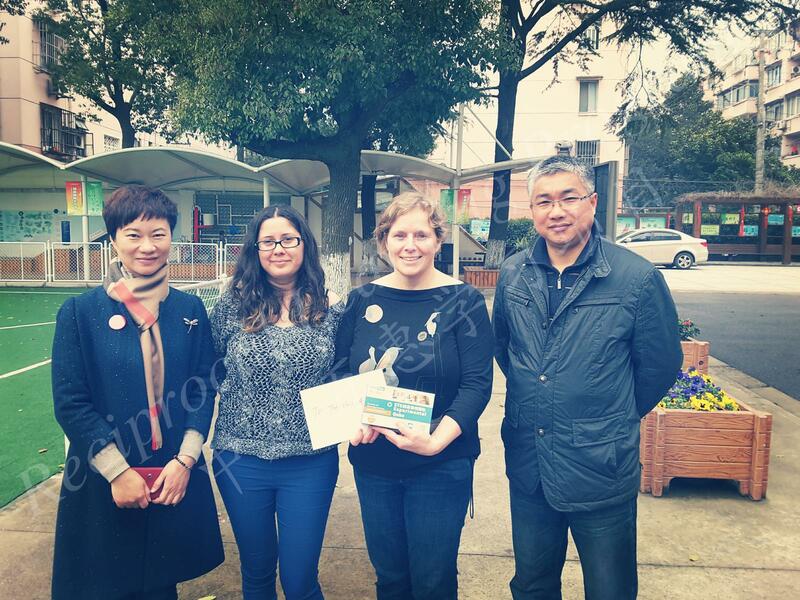 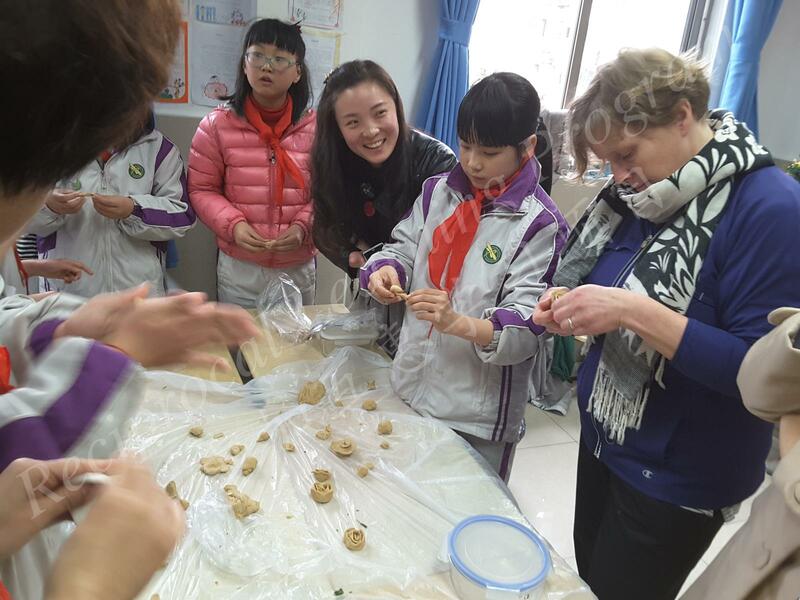 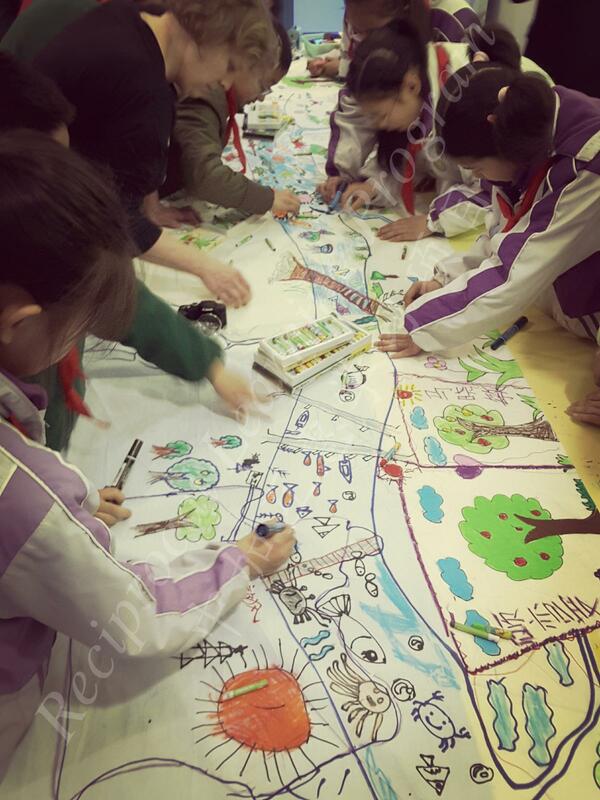 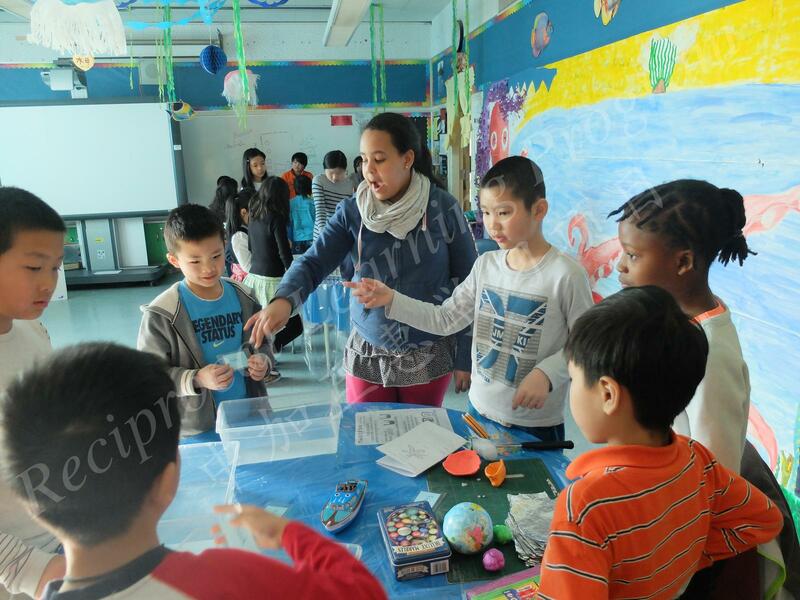 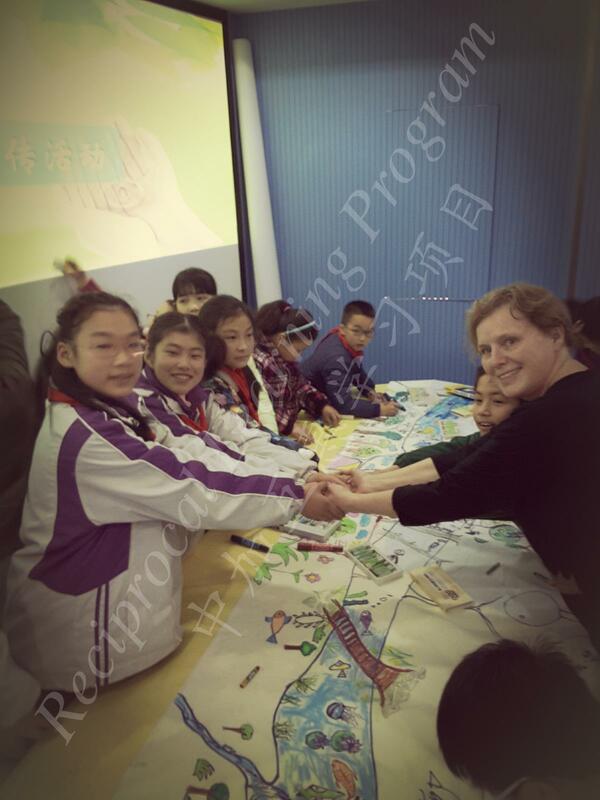 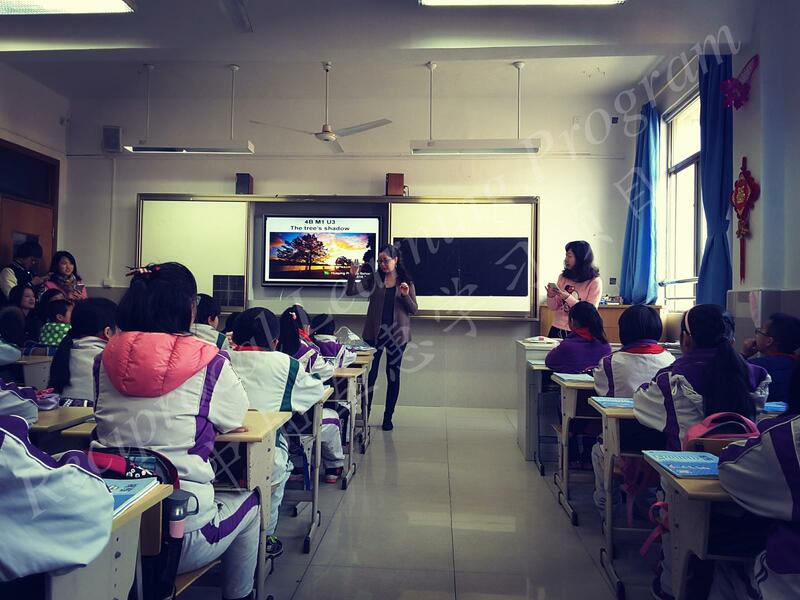 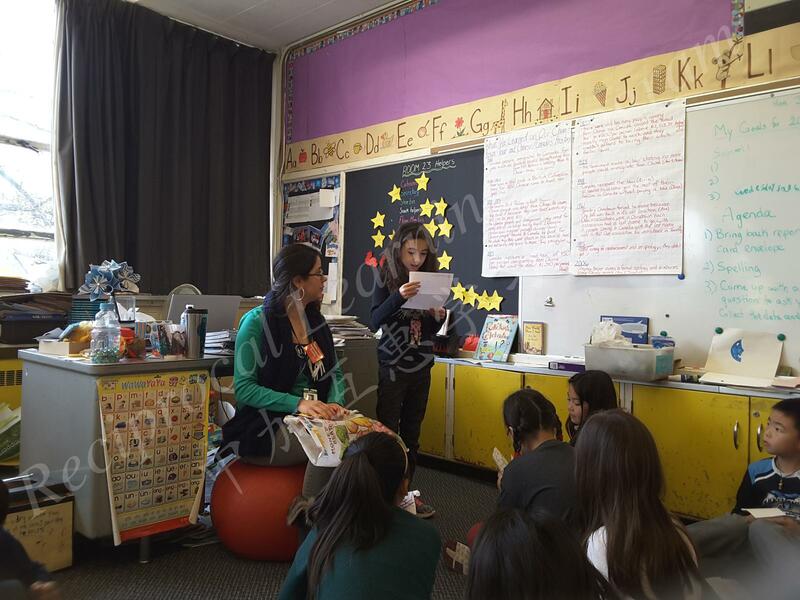 During March Break (March 14-21 2016), two teachers from Toronto Ryerson Community School visited their sister-school in Shanghai (Huaping Primary School) for the first time and participated in Huaping's school life. 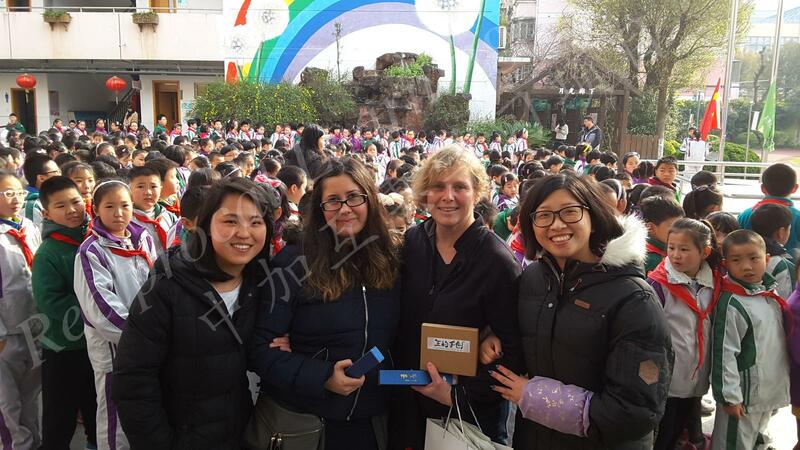 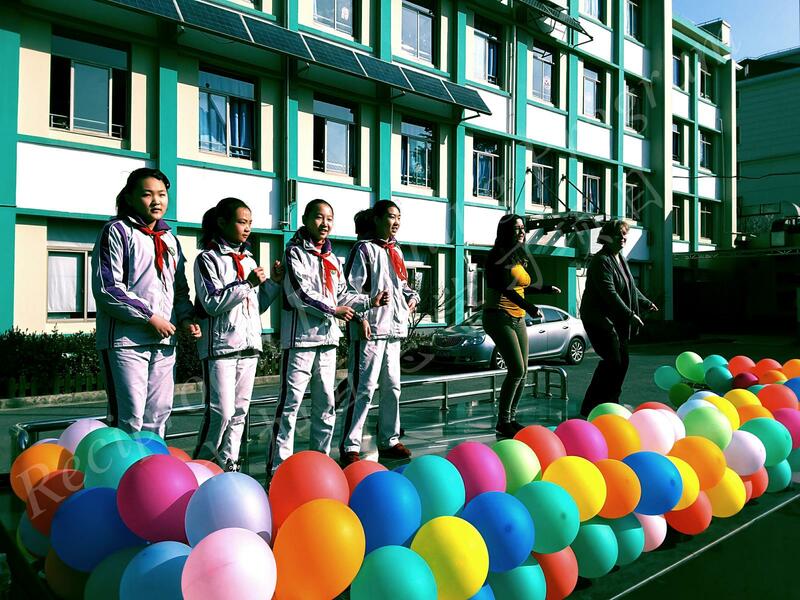 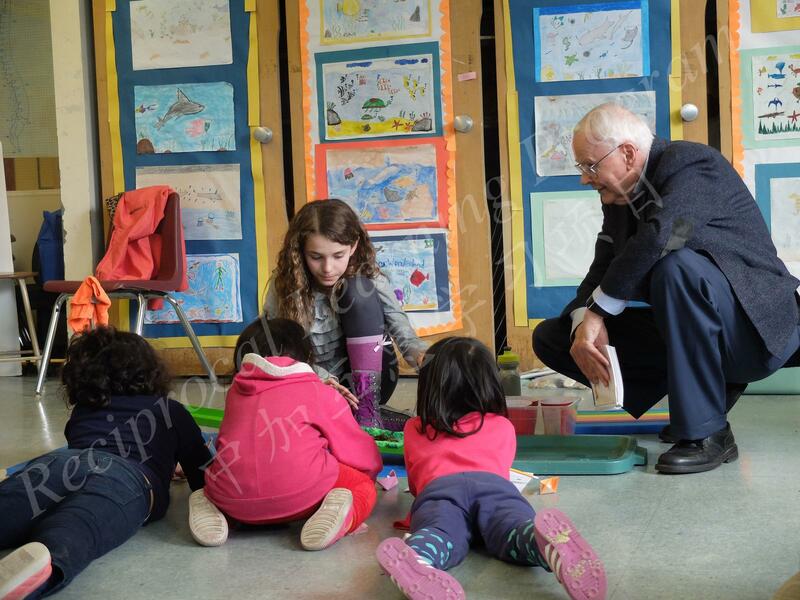 During their visit, they cotaught three lessons with their sister-school colleagues in the areas of Science and Technology, Language and Character Education. 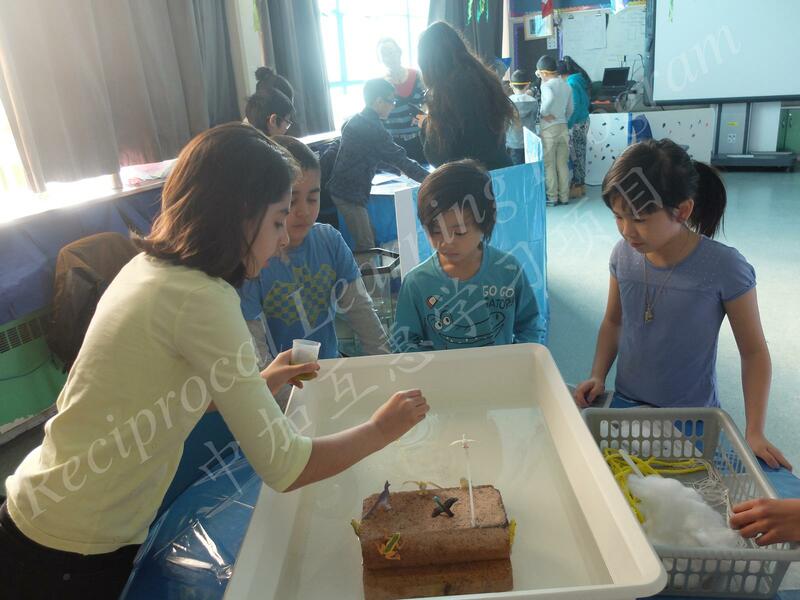 They also had an opportunity to experience various professional learning and teaching research activities in the context of their sister-school. 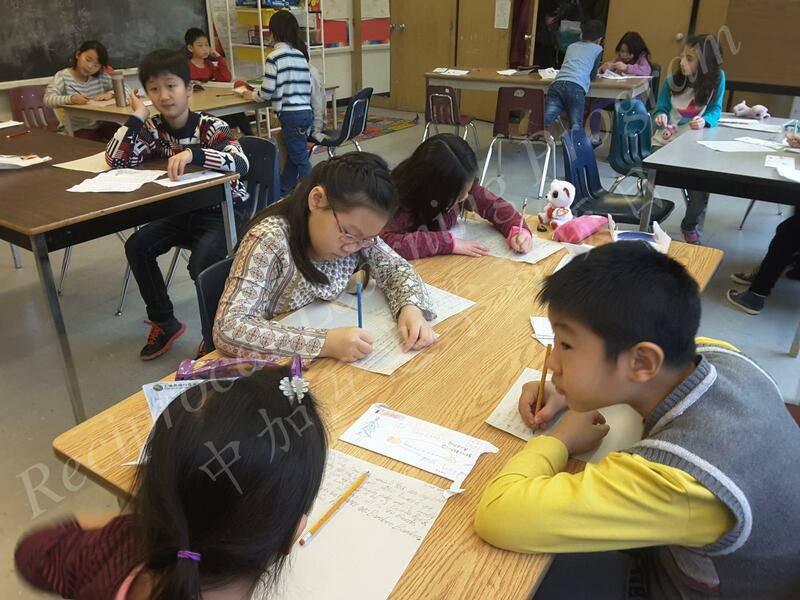 Between Sept 2015 and June 2016, a sister-class partnership was formed between Huaping Grade 4 Class and Ryerson Grade 3 Class. 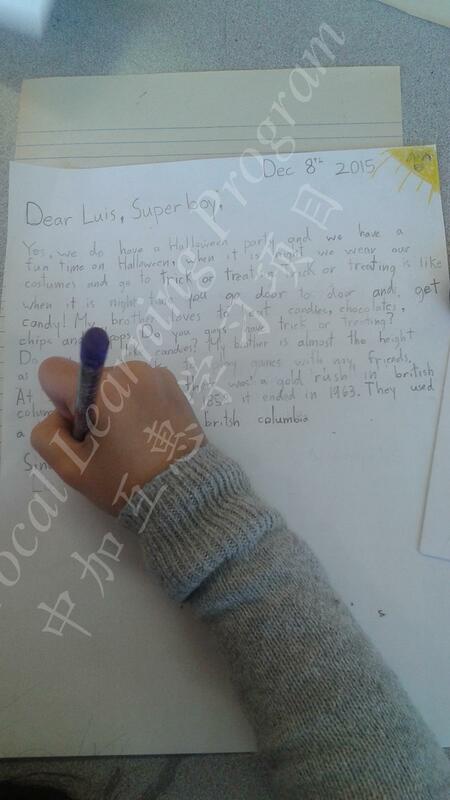 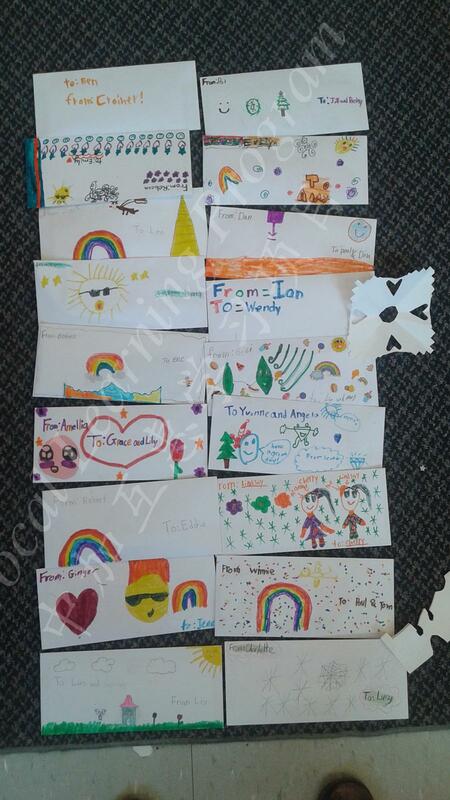 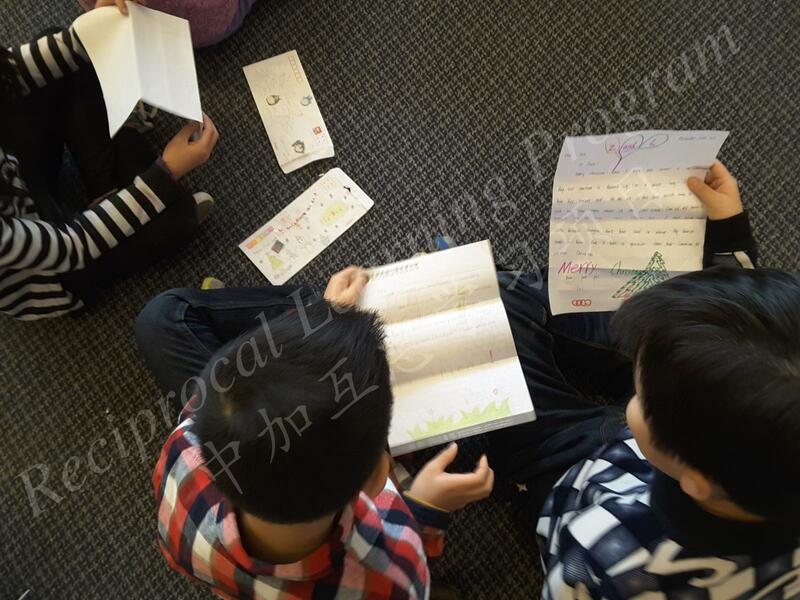 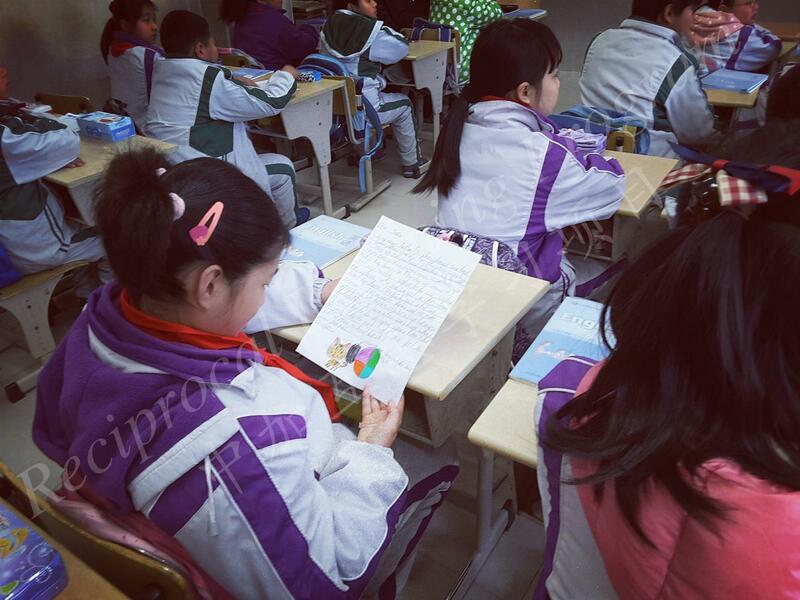 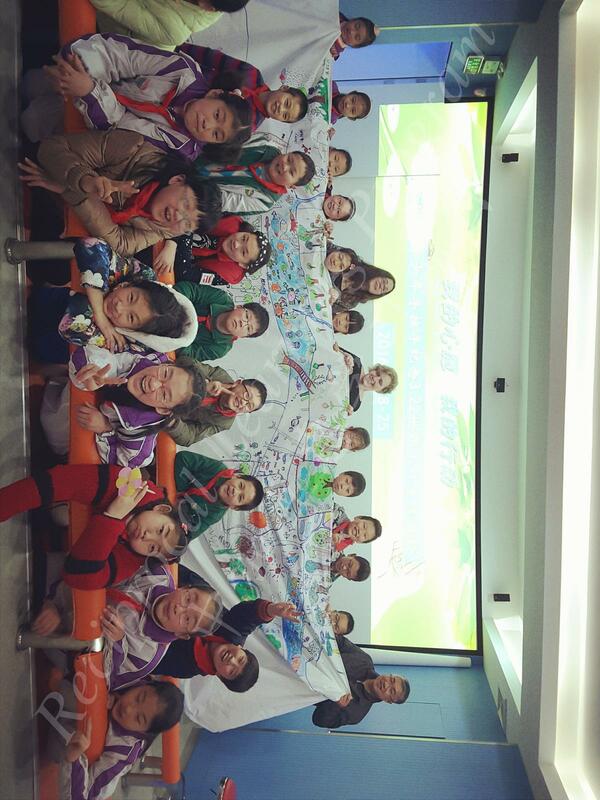 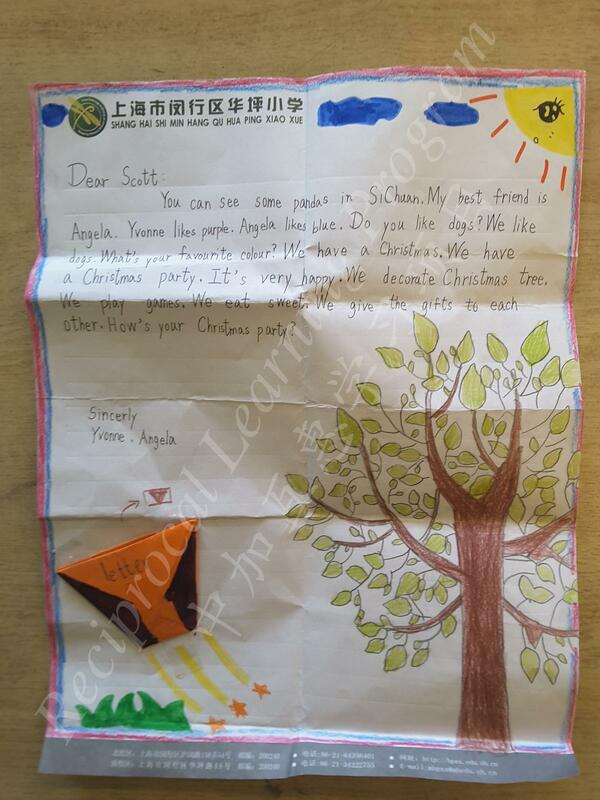 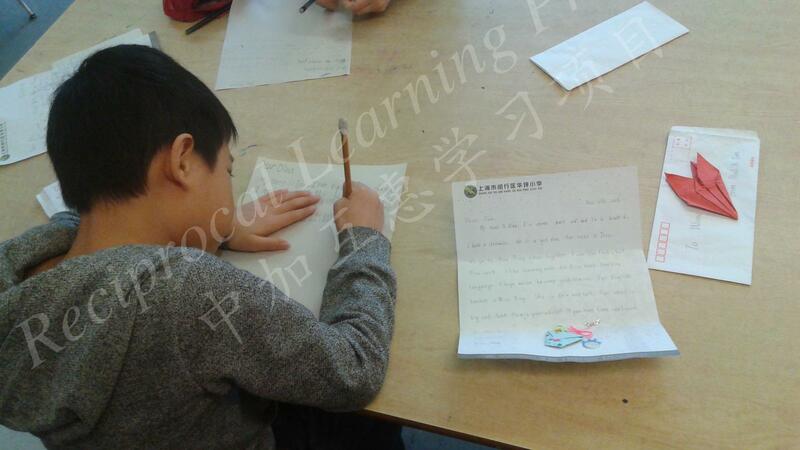 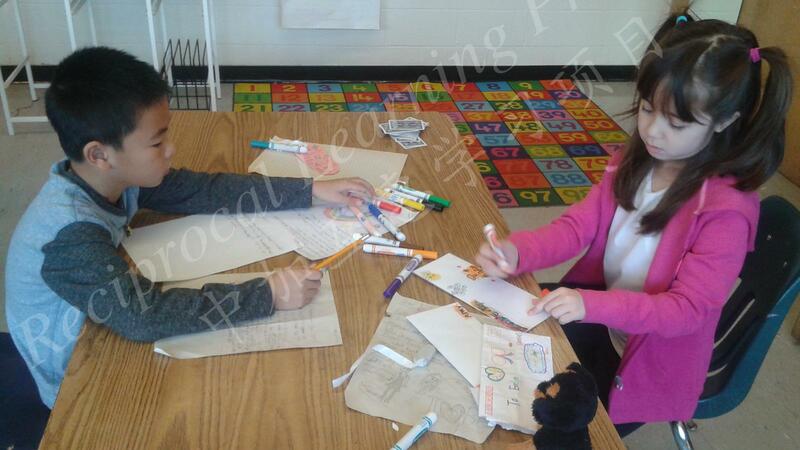 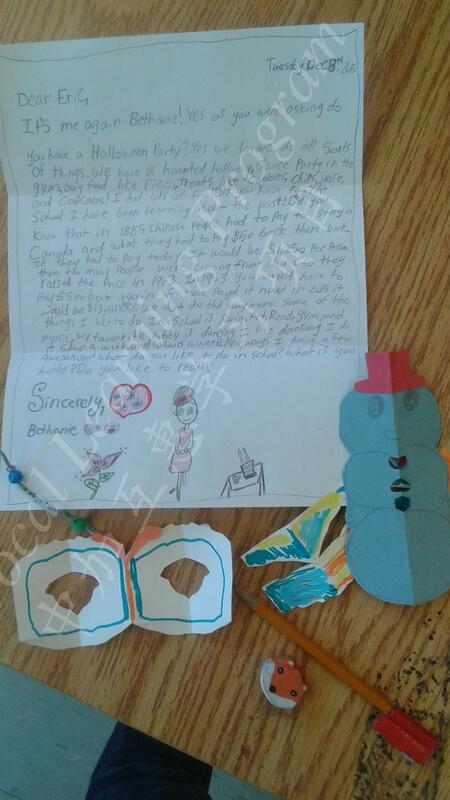 Students from the classes exchanged letters with each other. 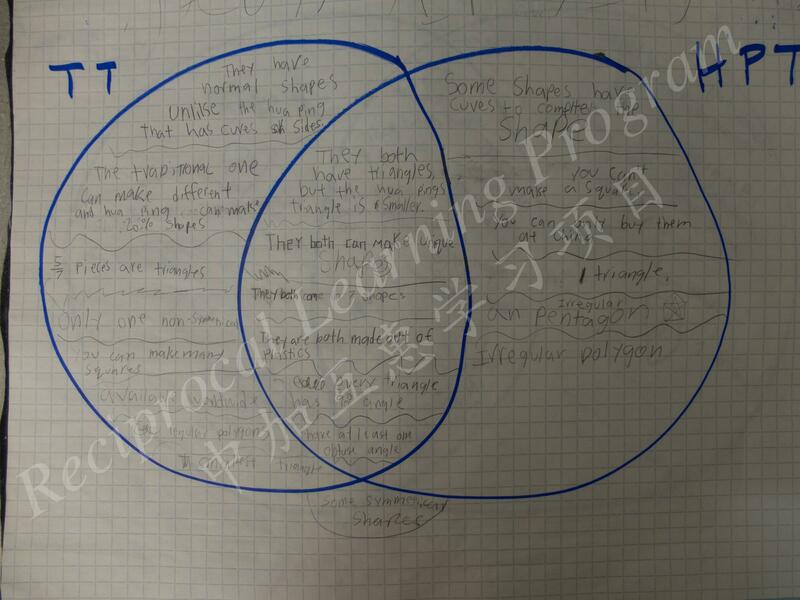 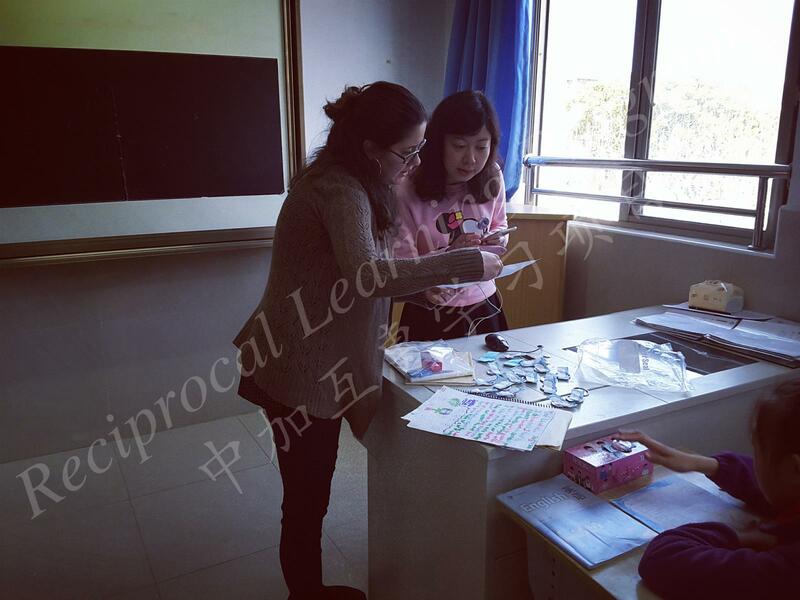 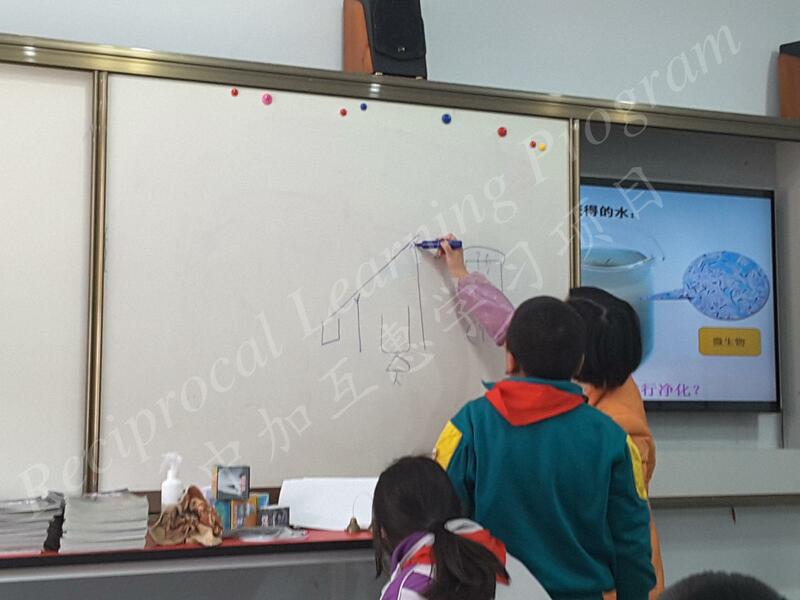 Their teacher also exchanged teaching strategies with one another too. 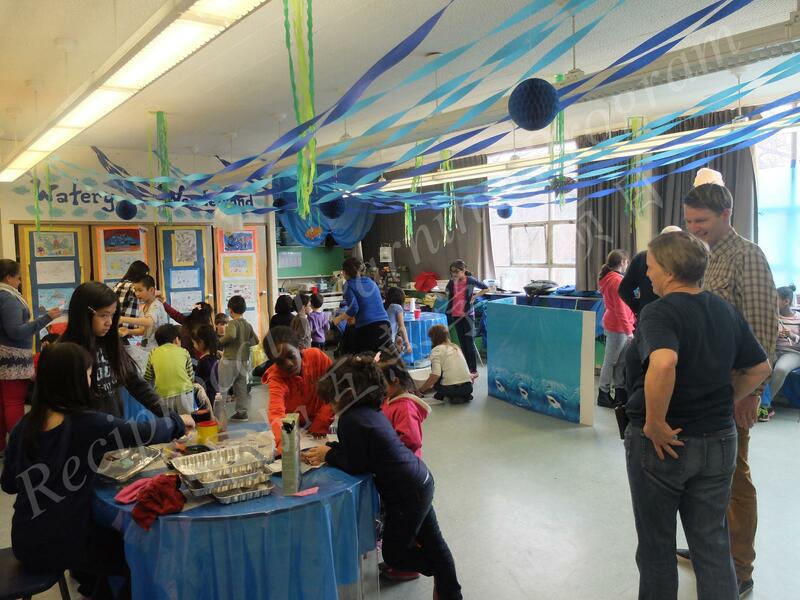 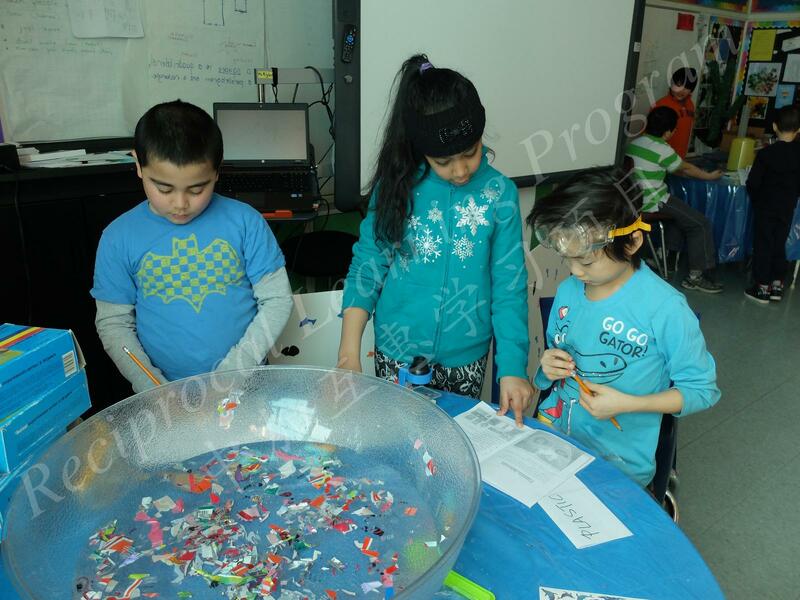 To celebrate the World Water Day, Room 26 @ Ryerson was turned into a Watery Wonderland during the week of March 23 - 27, 2015. 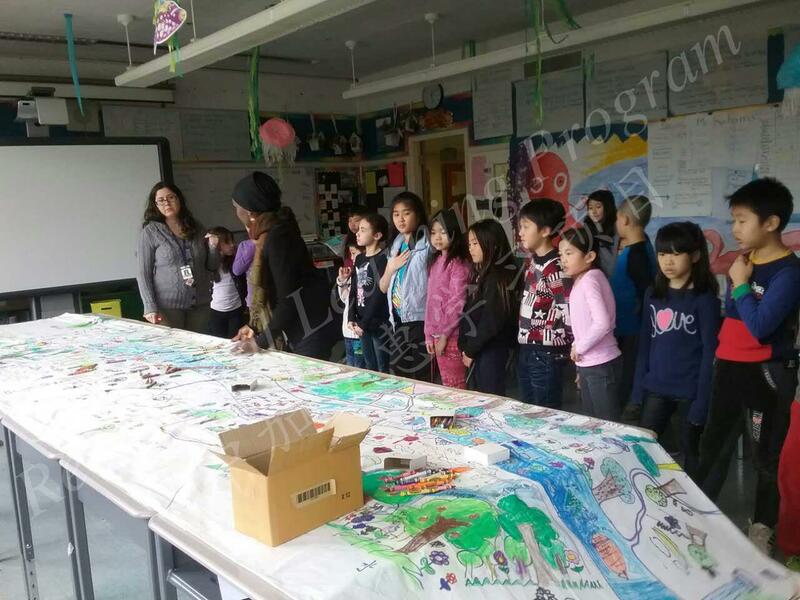 All Grade 4 and 5 students and teachers from Room 26 participated in educating other students in Ryerson about H2O and the importance of preserving and conserving water. 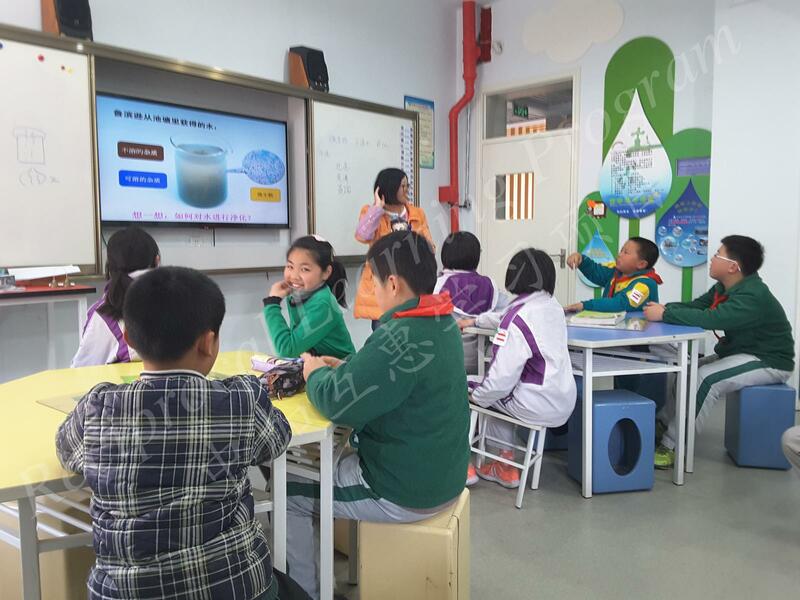 The same week, Huaping celebrated the World Water Day by organizing a Water Science Gala and in-class water education sessions. 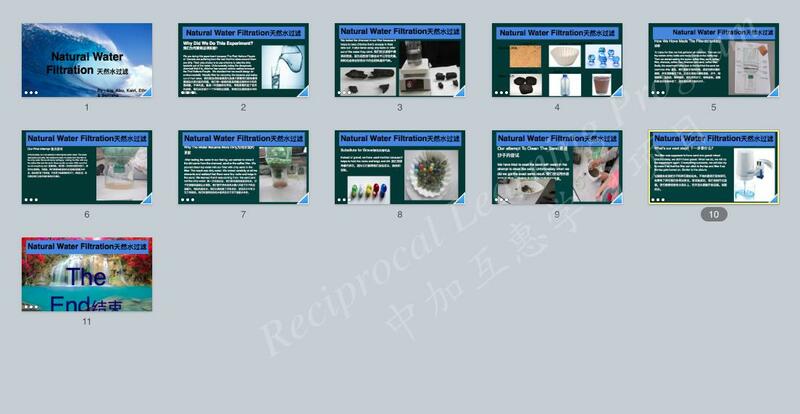 Prior to the Water Day celebration, with the help of computer technologies, Ryerson and Huaping students also had an opportunity to jointly design a series of water-character (水) posters from a distance. 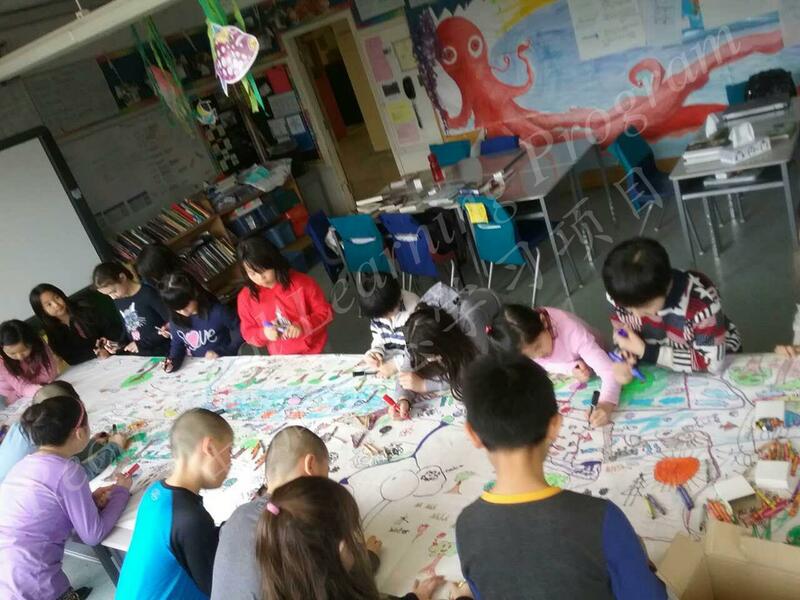 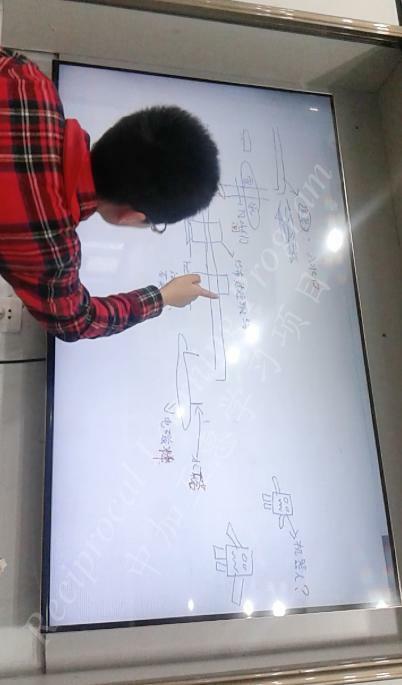 Huaping students designed various kinds of “水” characters whereas Ryerson students filled the water characters with slogans and pictures. 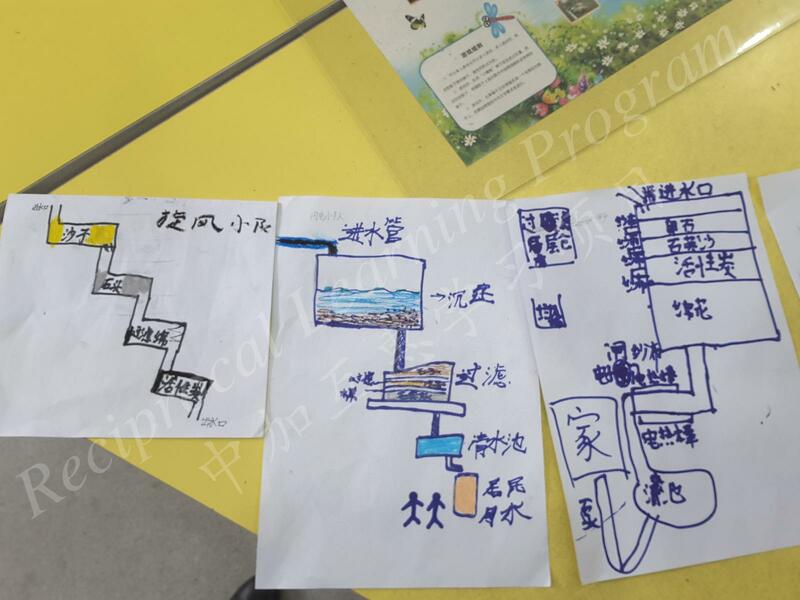 Their jointly produced water character 水 posters were displayed in both sister-schools during the water week celebration. 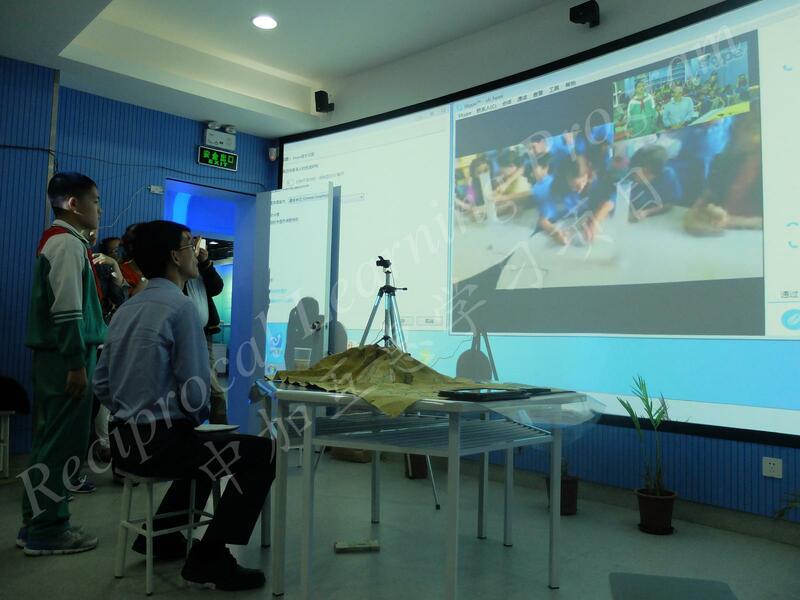 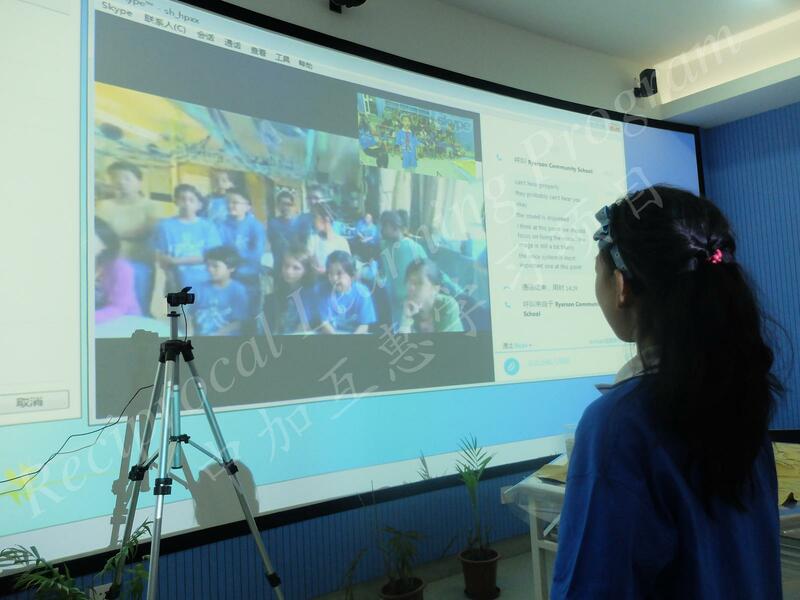 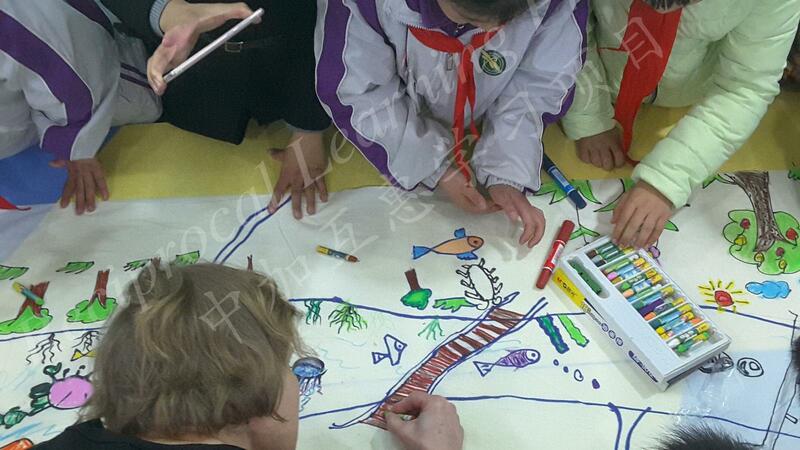 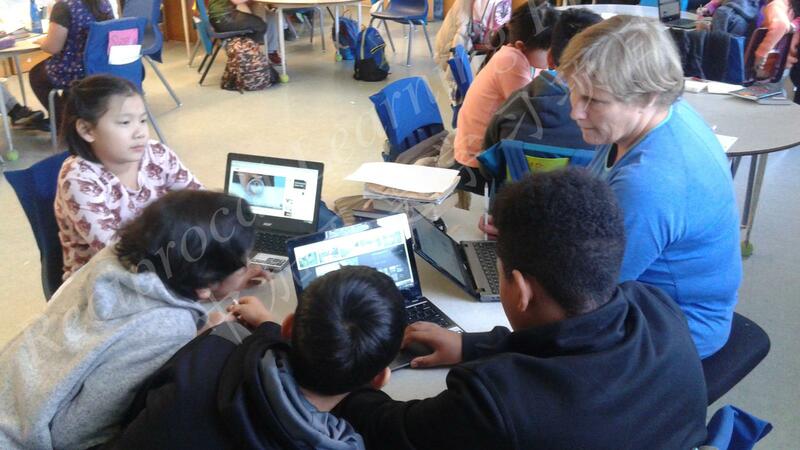 On May 27, 2015, students from RCS and HPS had a skype meeting on the theme of water. 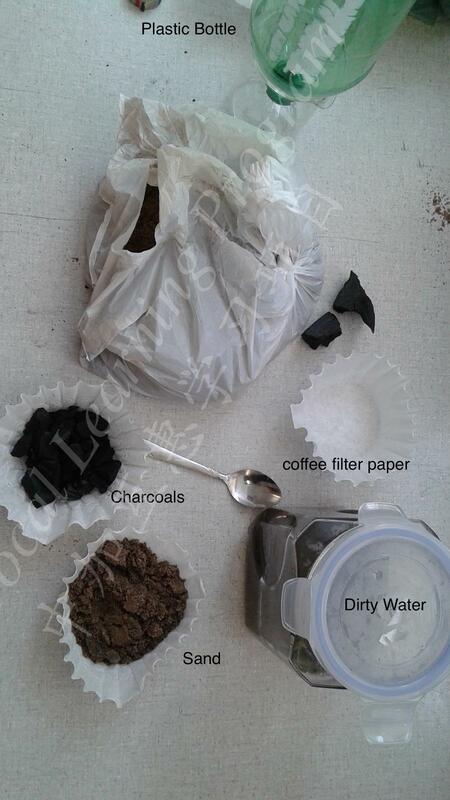 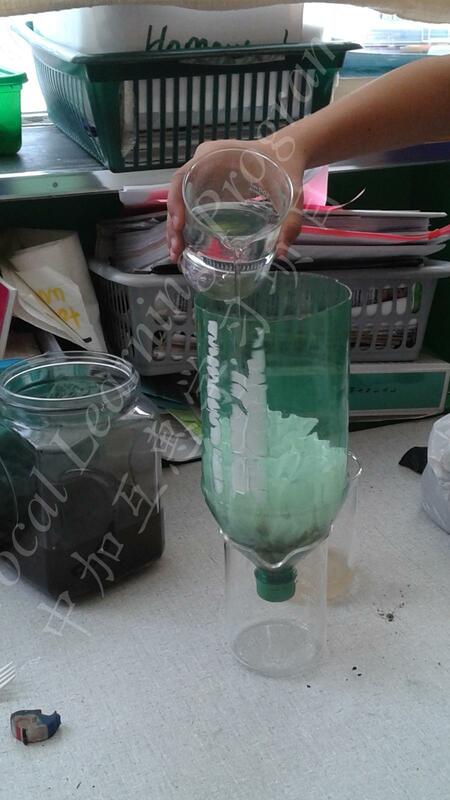 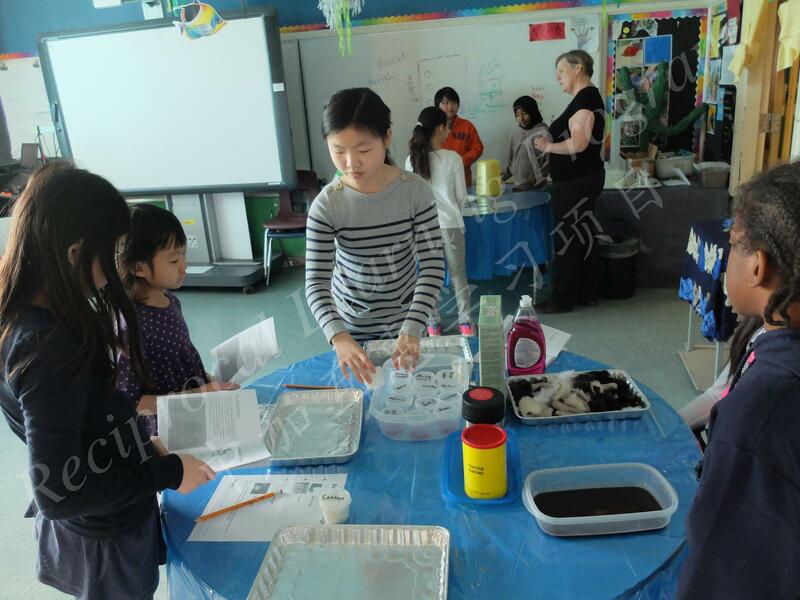 At the meeting, RCS student carried out a water science experiment under the instruction of HPS students. 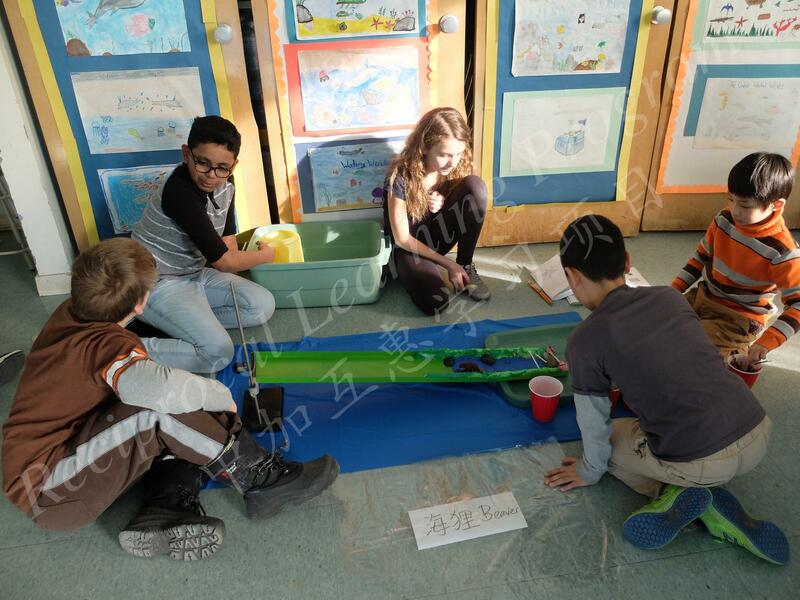 Likewise, HPS students completed a watershed activity under the guidance of RCS students. 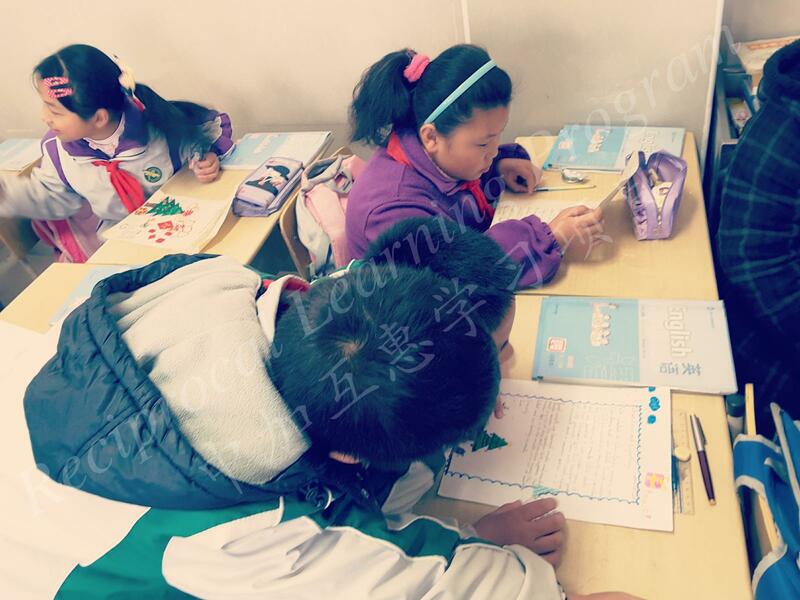 Students from schools discussed the results of their activities with each other. 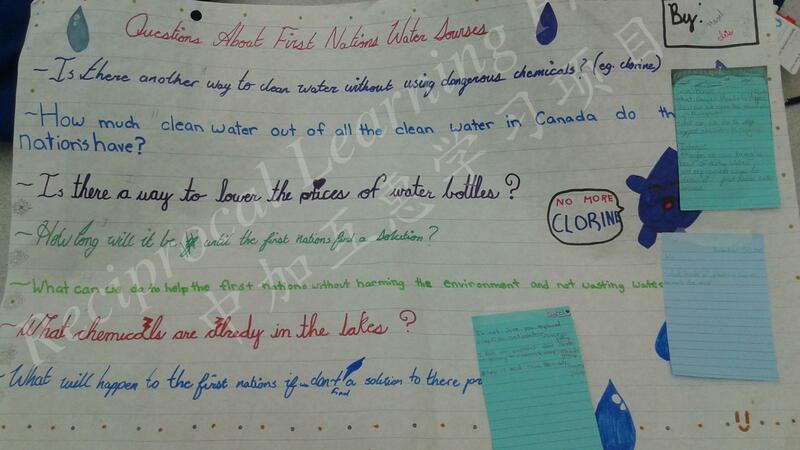 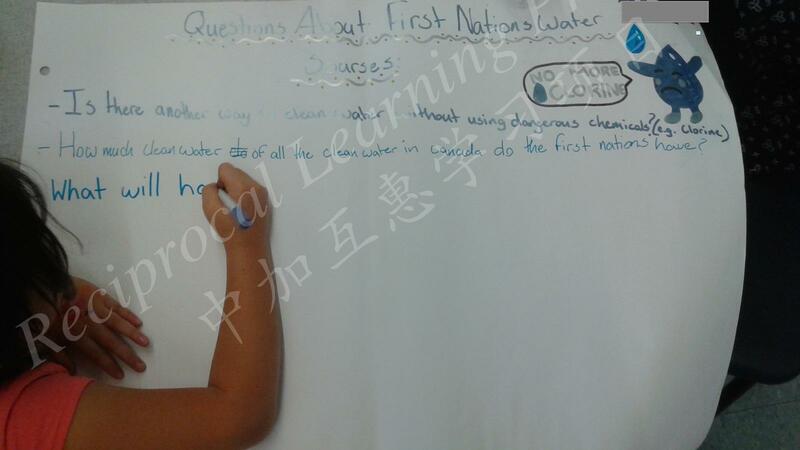 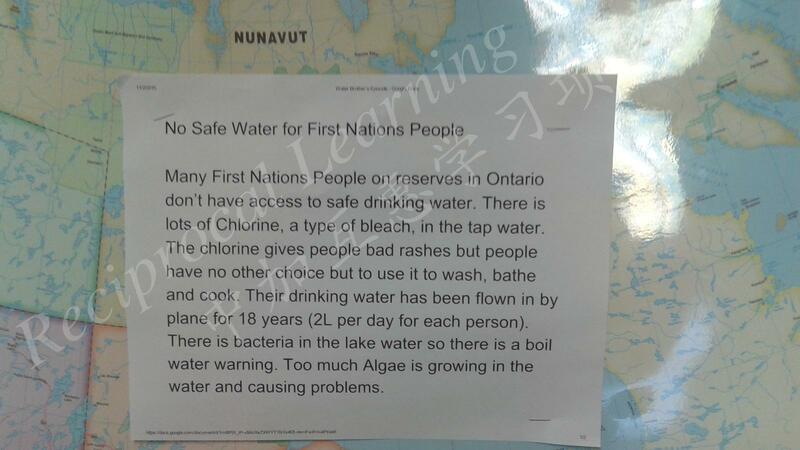 Between Nov 2015 and June 2016, Ryerson and Huaping students furthered their reciprocal learning on water through a joint scientific inquiry into indigenous water problems in Canada. 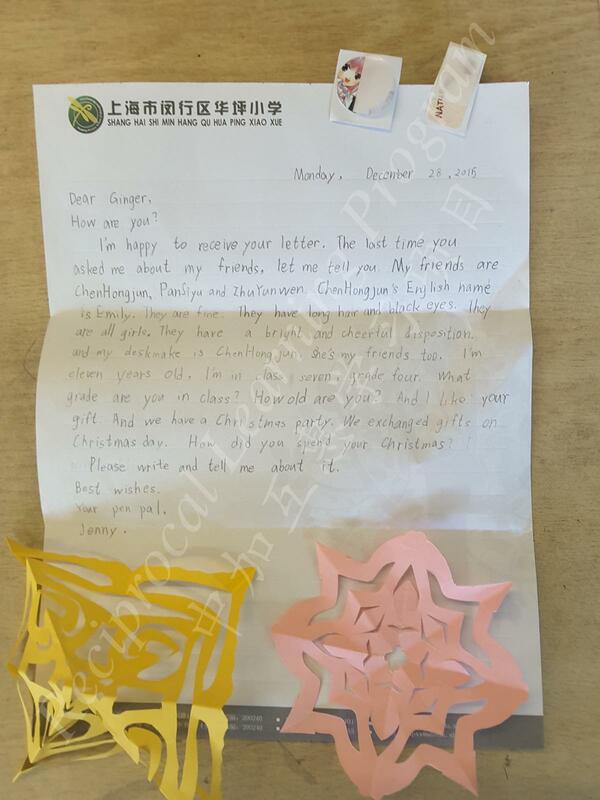 The tangram, or the Chinese Puzzle, is a dissection puzzle that consists of seven flat pieces — two large triangles, one medium triangle, two small triangles, one square and one parallelogram. 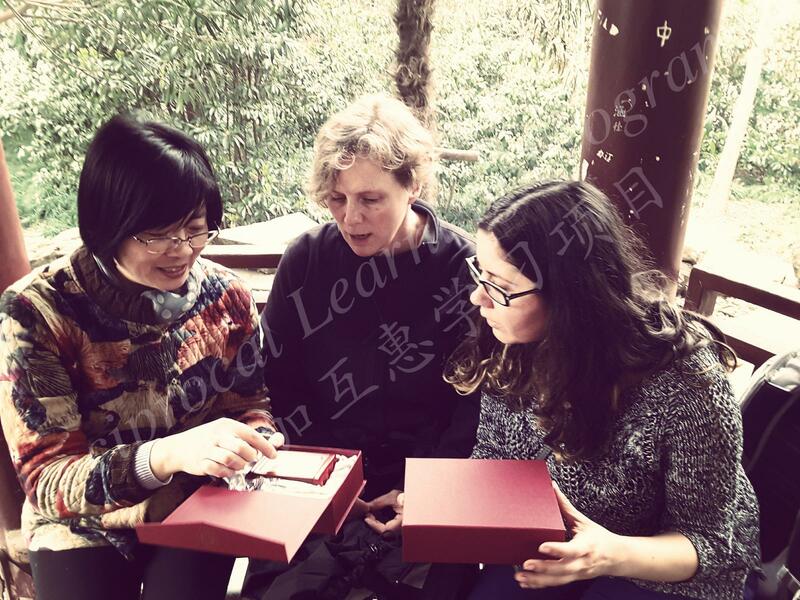 It had been around in China for a long time (perhaps since the Song dynasty). 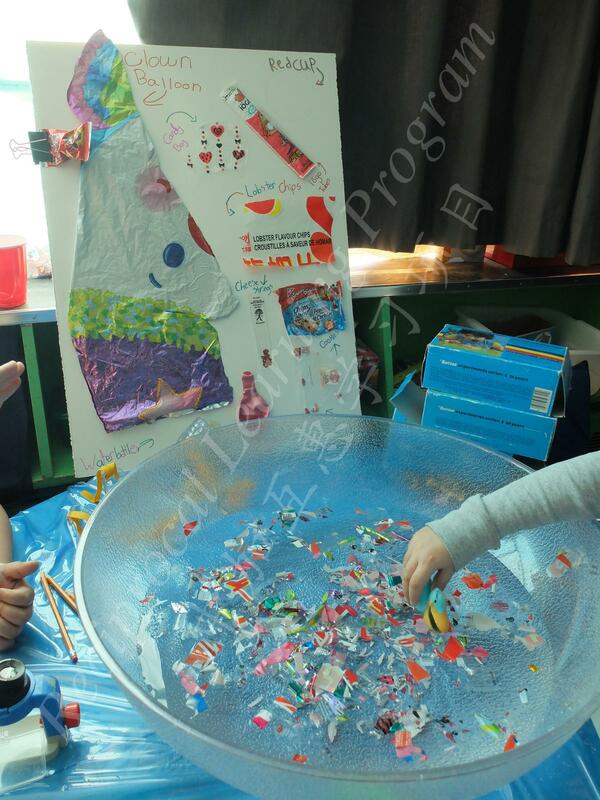 The goal of the puzzle is to place all seven pieces on a flat surface to form diagrams in the shapes of objects, landscapes, animals or human figures. 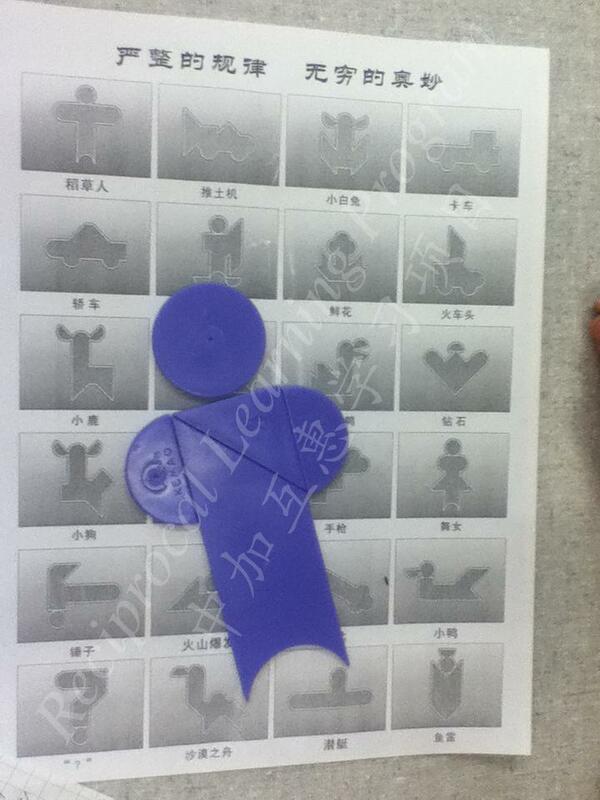 Though invented in China, the tangrams are now widely available in all parts of the world. 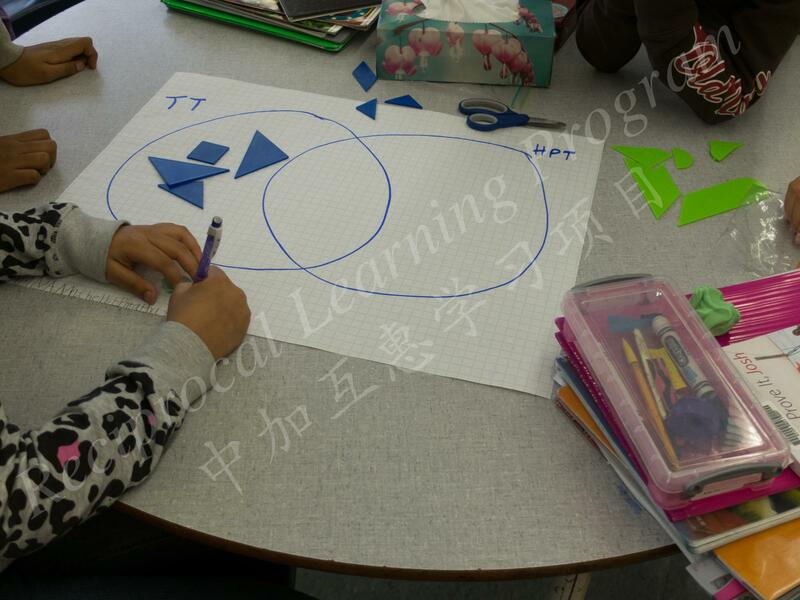 In a school like Ryerson, tangrams are often used in math lessons. 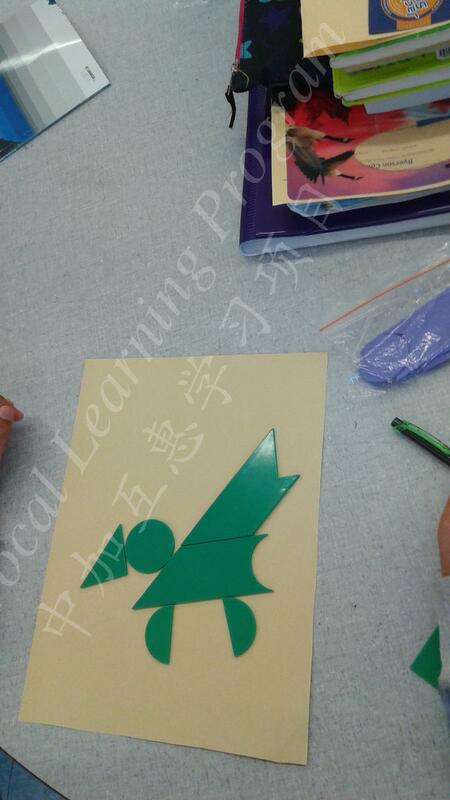 For many years, Huaping prided itself for having a school culture on the theme of the tangram-art. 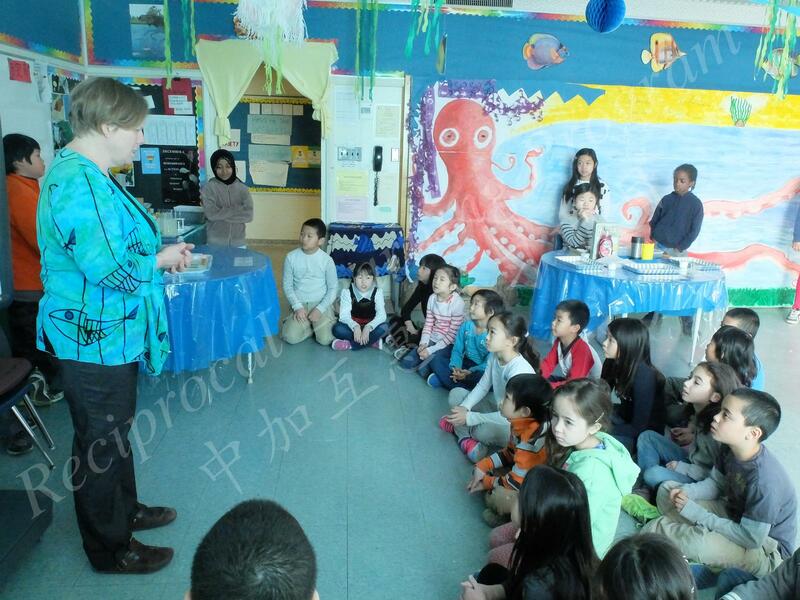 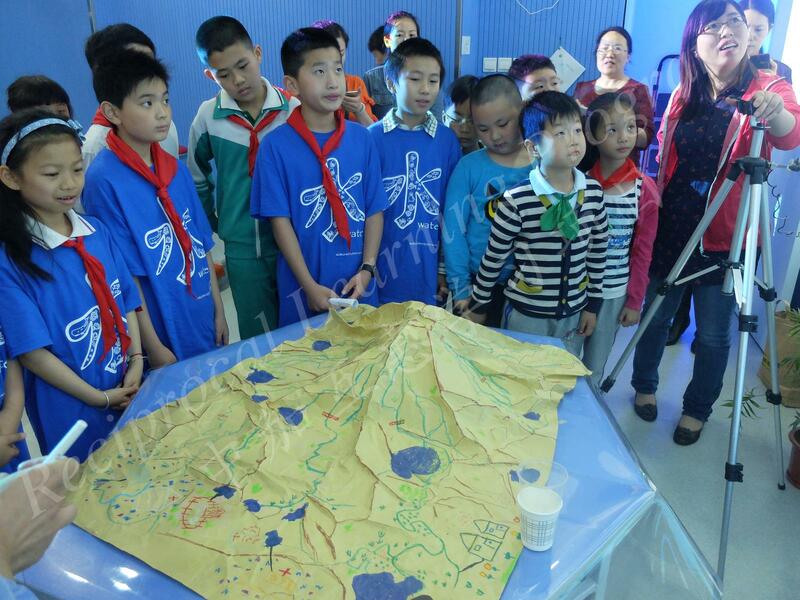 For instance, it delivered a weekly tangram enrichment program to its Grade 1- 5 students. 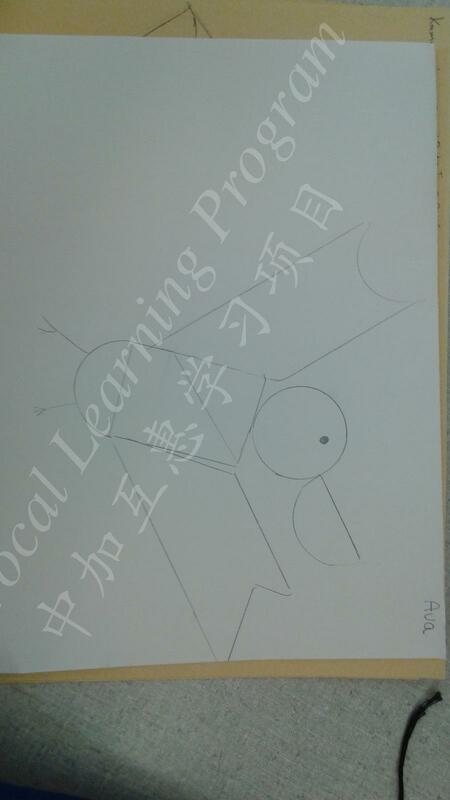 Students’ tangram art work could also be seen around the school campus. 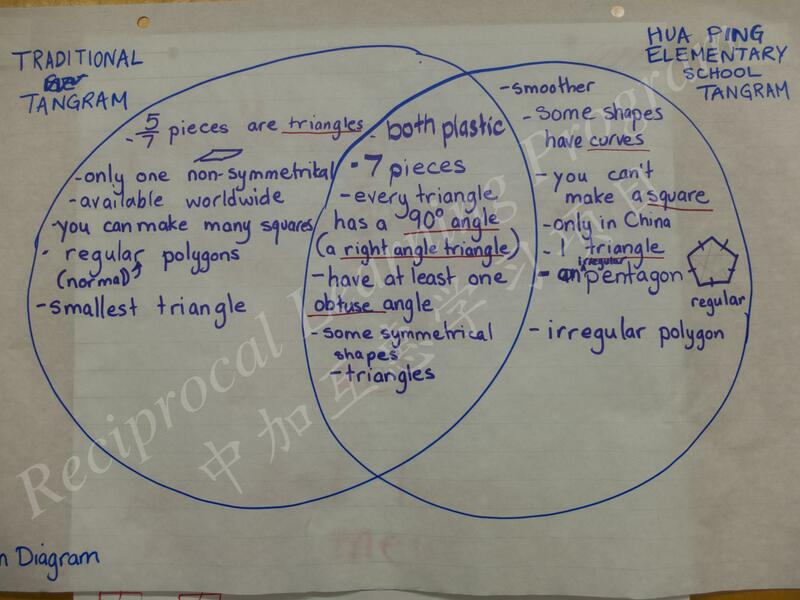 Huaping’s tangram was slightly different from the traditional Chinese tangram as it consisted of additional shapes - circles. 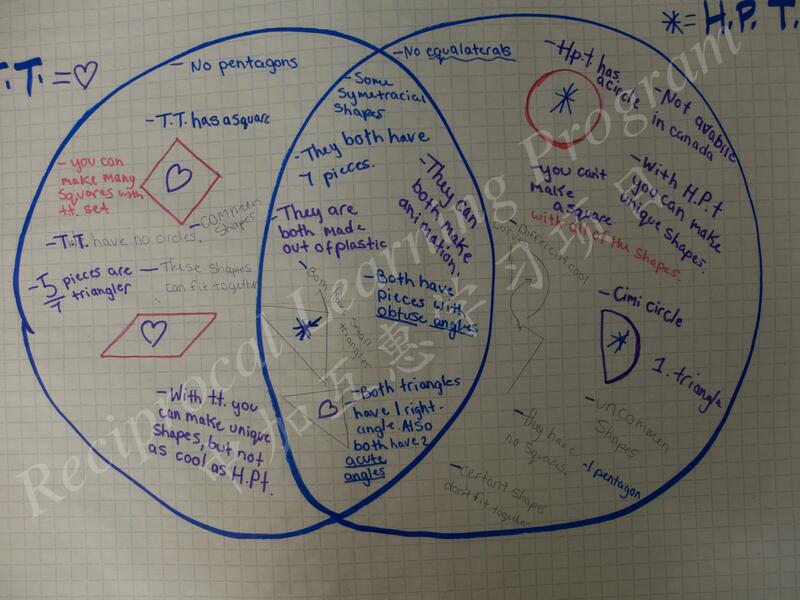 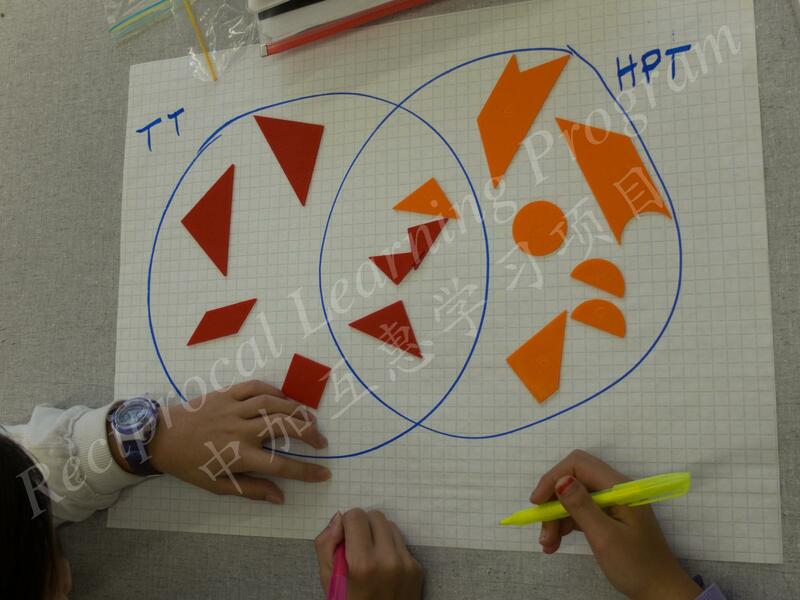 At a Skype meeting in October 2014, teachers from Ryerson and Huaping agreed to collaborate on a reciprocal learning project on the theme of “tangram.” Between November and December 2014, Ryerson teachers purchased those “new” tangrams commonly used in Huaping and carried out a series of math-art integrated lessons using both the traditional and “new” tangrams. 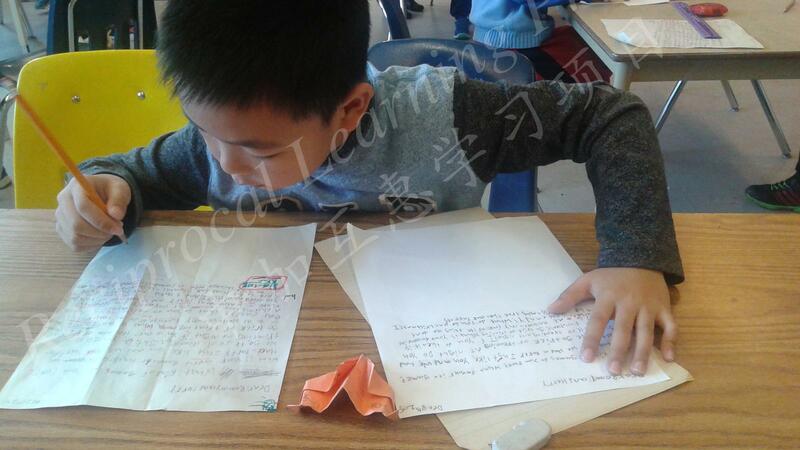 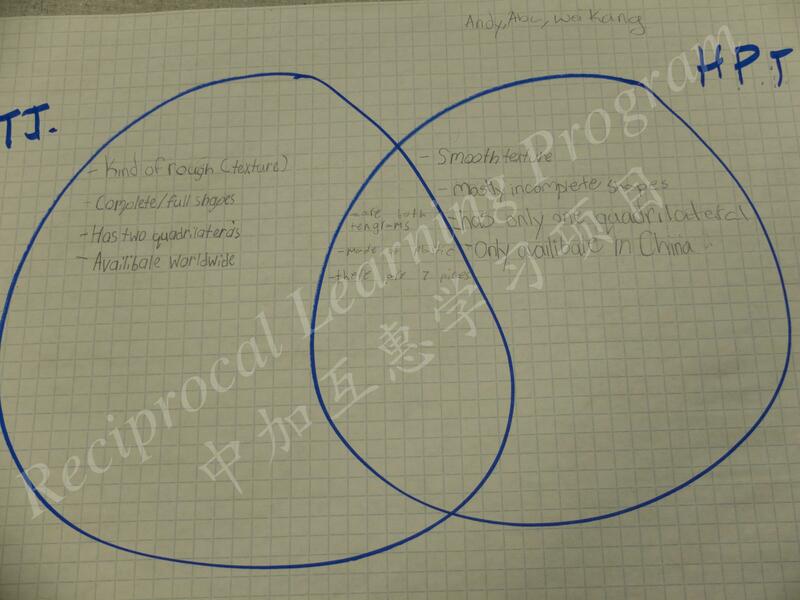 Meanwhile, Ryerson and Huaping teachers also exchanged classroom notes and teaching observations with one another.